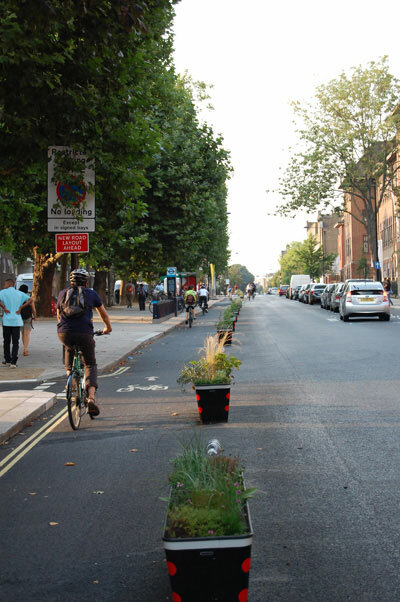 Armadillos and planters could become regular sights on our streets, separating cyclists from traffic, following the official opening of the UK’s first such cycle lane in Camden, North London. 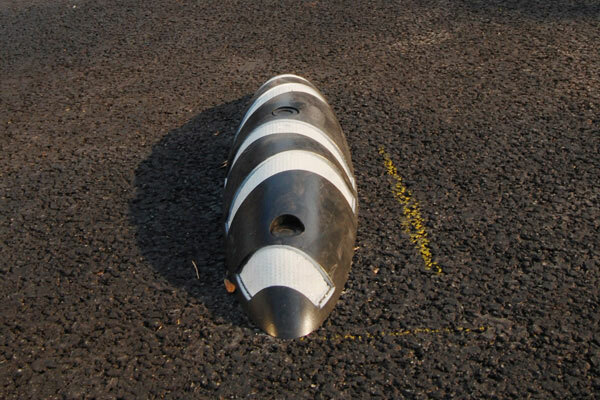 The new two-metre wide lanes, running one on each side of the length of one-way Royal College Street, are separated from traffic by specially-designed long rectangular plant pots and rugby ball- (or armadillo-) shaped armadillos. 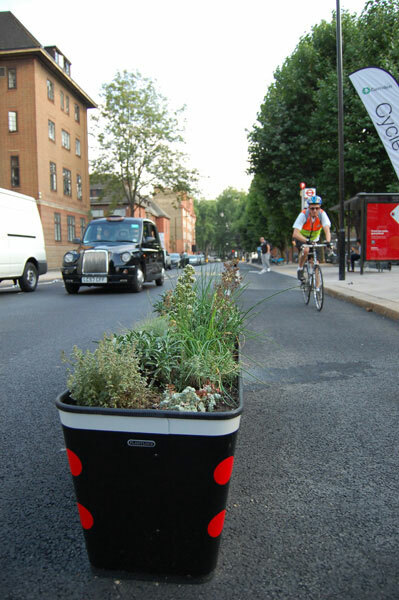 The lanes cost around a quarter of traditional segregated cycle lanes while the armadillos’ wide spacing allows faster cyclists to leave the cycle lane at any point and those with mobility issues, wheelchairs or pushchairs to easily cross the road. At bus stops the cycle lane is raised to pavement level, and there’s no give way markings for cyclists, so it assumes a level of responsibility from all users. Camden’s Phil Jones, Cabinet Member for Sustainability, said: “There has been some issues with the bus stops as people aren’t sure what to do. People are sensible though, they don’t just jump out in front of a bike “. The lanes were less than a year in the making – light speed in infrastructure terms – including persuading the Cycling Minister Norman Baker to accept the new designs. The next lanes of this sort could be rolled out at double the speed according to John Futcher, of Camden Council’s Public Realm and Planning.